American courts have shaped, debated, honored, and protected our right to privacy for more than two hundred years. 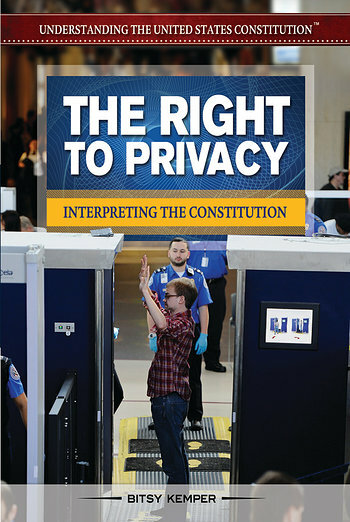 This compelling resource reviews the constitutional roots of the right to privacy, from the Fourth Amendment's protection against unreasonable searches to the Fourteenth Amendment's guarantee of personal liberty. The court cases presented show how privacy rights apply in nearly every area of our lives--at school, at work, in our homes, in our personal communications, in our doctor's offices, and in our relationships. They also demonstrate how privacy rights have evolved in a high-tech, complex world.